..or shall we say it is "part of the story ?" . . . 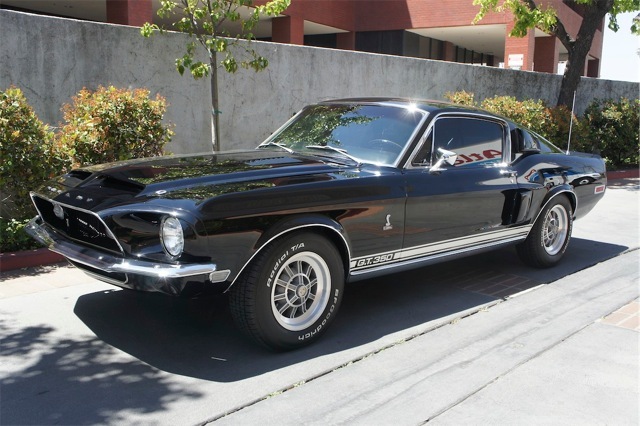 This 1968 GT350 started out working as a Hertz rental car. It was sent to Bill Watkins Ford in Scottsdale, Arizona for pre-rental preparation. Like most of the 224 Hertz rentals it was a 302 automatic transmission with air conditioning. The car was originally white in color with a black interior. Like many of the Hertz rentals it was built in January of 1968. The actual build date was January 11th. You may recognize that date as Carroll Shelby's birthday. A couple months later the car was available as a rental. After its duties at Hertz, the next owner took the car east. Eventually, the car found its way to Nevada. The owner decided it was ready for a restoration. The tired 302 was pulled and placed on a pallet. It was mostly complete, but a few parts were donated to the new build. A replacement motor was found for the car. The original motor would sit for the next 15 years. I was a little surprised to see an "original" 1968 GT350 motor come on eBay. The price was reasonable, even after shipping was factored in. After speaking with the owner and checking the Shelby Registry, I verified the serial number and casting dates. I was convinced, this was indeed, a genuine GT350 engine. The seller made arrangements for the trip to the midwest. 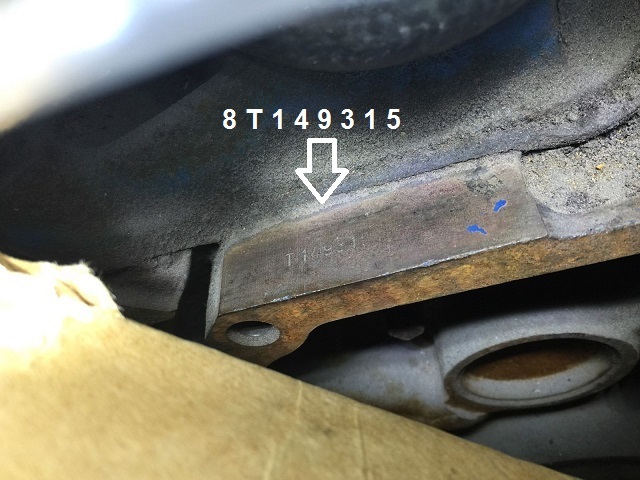 The original derivative serial number is stamped into the block, behind the iron, intake manifold. 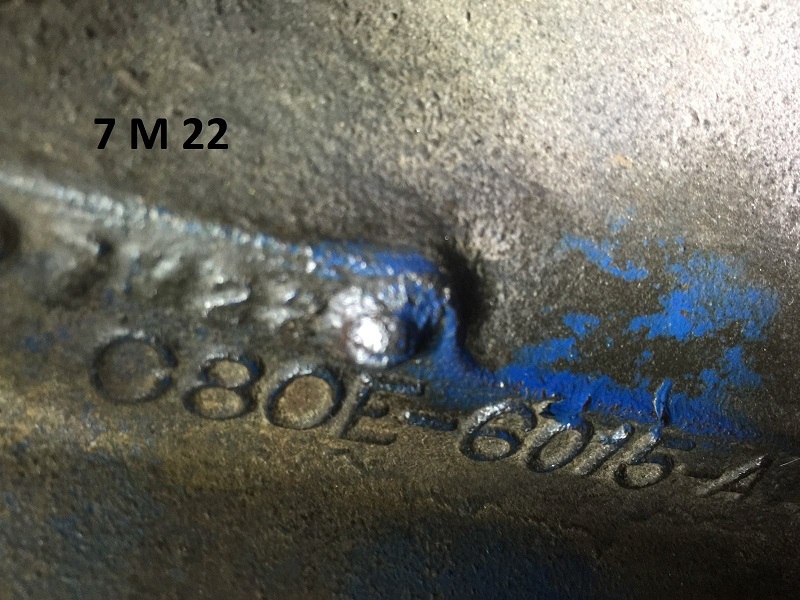 The casting date "7M22" is appropriate for a January built GT350. A few days later, the shipper called and said they were ready to deliver the engine. I was impressed at the speed of the delivery. About an hour later, the shipper called back to say, they would not be able meet the original appointment. This was not a problem. We arranged a new delivery date. That day came and mostly passed. I phoned the shipper. It was then, I found out I was actually dealing with a broker that arranged the shipping through a third party. They transferred me to another company. The person I spoke to said, "...oh dear, the truck carrying your engine has been in a terrible accident. All of the freight has been considered a total loss. You will need to file a claim. " I was probably more stunned, but my mind kept saying "no". I was not going to "file a claim". I want my engine. I knew filling a claim would release my property to them and leave me with nothing. I would only have what ever they agreed to send me. I continued calling and emailing. "Who would we determine the value? ", I asked. The lady said a used engine would likely not be very valuable...a few hundred dollars at best. Each time, I expressed my growing frustration. "How can you destroy 300 pounds of cast iron? ", I explained. Where are the charred ruins of the Hertz power plant? Maybe someone recognized this motor and took it? They sold it. Yes, that's what's happened. I need proof...something...anything...pictures...a police report...a broken pallet...a valve cover...a dead body! Ahhhhhh! About three weeks passed and the tone suddenly changed. The voice on the other end said, "Why do you think this has been destroyed?" "We are going to deliver the engine tomorrow". 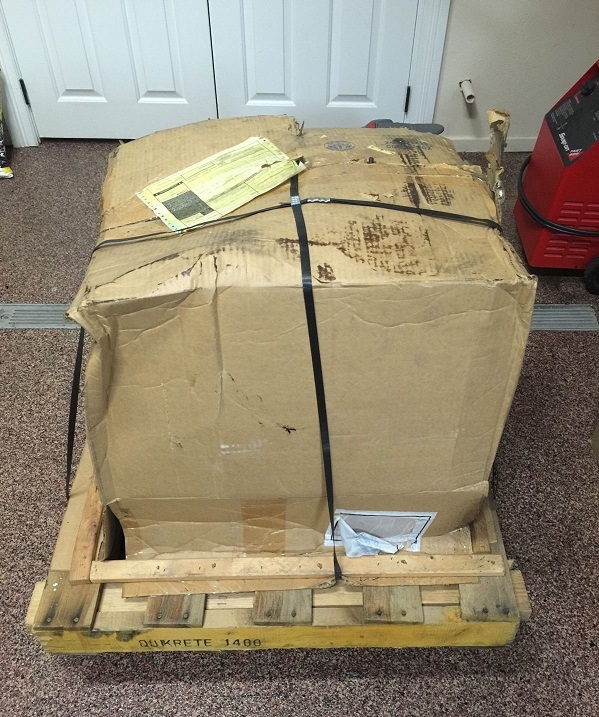 When the engine showed up, the pallet and box were intact. I carefully opened the oil stained crate. The damage was minimal to say the least. The original oil cap was mutilated, but I could not find any other damage. I was relieved I had not been pressured into taking a settlement. This history would have surely went to the landfill. A few brackets and pulleys will need to be rounded up, but the Hertz power plant was saved. It now sits on an engine stand in my shop. I will be featuring some of the details in an upcoming feature.